Sign up today to enter great competitions. Win a 3 Month Subscription from Pasta Evangelists! Win a 3 Month Subscription from Pasta Evangelists worth £48! We've teamed up once again with Pasta Evangelists for your chance to win a delicious 3 Month Subscription worth £48 and delivered straight to the winner's door! What's included? You'll get to choose 1 dish each month for 3 months from any of their 8 weekly recipes and you will receive the freshest ingredients to prepare a delicious meal for two. So that's a delicious meal for 2, once a month for 3 months! We've also got an Exclusive Offer until 31st August 2018 where you can get 50% off your first Pasta Evangelists order! There is so much more to pasta than most people see. They send everything you need: pasta, sauce, garnishes, and step by step instructions, with no wastage. This enables you to prepare fresh, artisanal pasta dishes and authentic Italian sauces to cook at home. Their chilled boxes fit through your letterbox, so there's no need to be in for delivery and they are easy to take home from the office. Discover the true tastes of Italy every week. Real, fresh pasta is light but firm on the bite. A proper part of the dish, not just a sidenote. They choose their recipes and pasta pairings carefully and there's a story for each one on their weekly menu. "This stuff is delicious. Mind-blowingly good." "Really delicious and simple to cook!" Are you a real pasta foodie? 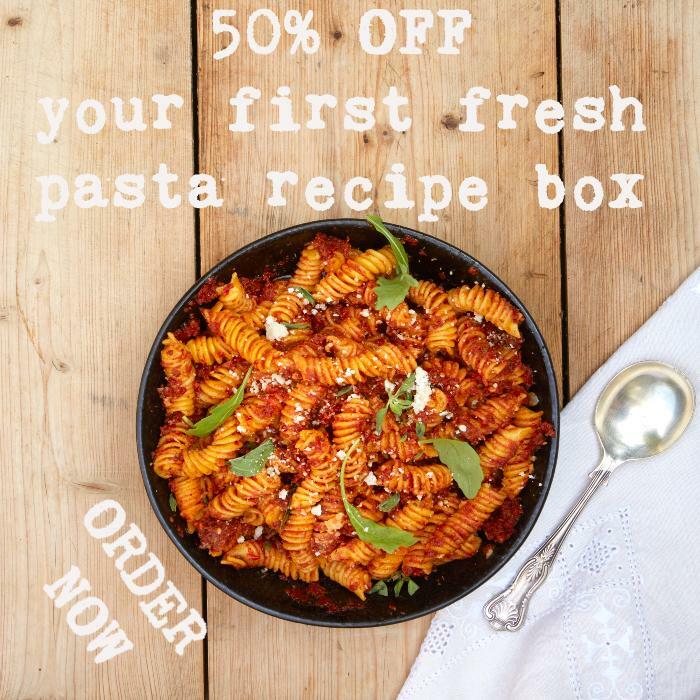 Try Pasta Evangelists today and you'll get 50% off your first order! - just click on on Pasta Evangelists image above. A meal for 2, once a month, for 3 months! The finest seasonal ingredients & produce from Italy. You will produce tasty, impressive meals to share. Worth £48 and delivered to your door! Win an APEMAN A80 Action Camera! Win a Morphy Richards Slow Cooker! Win a Jelly Belly Gift Box - a whopping 50 flavours! Win a Unisex Casio Sports Watch! Win a Caramel Chocolate Selector Gift Bag! Win a £25 eGift Card from Primark! Win a £20 eGift Voucher from the restaurant of your choice! Win a £20 Carluccio's eGift Card! Win a VonShef 3-Litre Stainless Steel Air Flask!